Cheapest transaction rate (1.95% compared to 2.75% for most others). 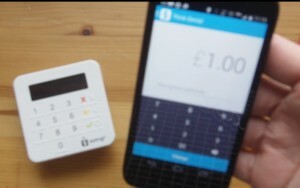 I previously reviewed the SumUp swipe and sign card reader when it was released in 2013. Despite not being able to take Visa I was quite taken with it. At the time it was the only free mobile card reader available, payments could be a little cumbersome but I could see how some businesses might make use of it. 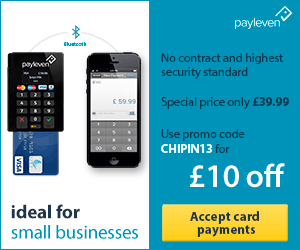 Things have moved on since then, now you can get a free chip and PIN machine from iZettle and other paid devices are superior to PIN+. I can’t really see how PIN+ fits into the marketplace. If you are using a mobile chip and PIN machine in a shop or stall you will need a rechargeable battery so PIN+ is not an option. If you plan on taking payments occasionally with a mobile chip and PIN machine the slight difference in transaction charges (0.8%) compared to the competitors won’t really make much difference. 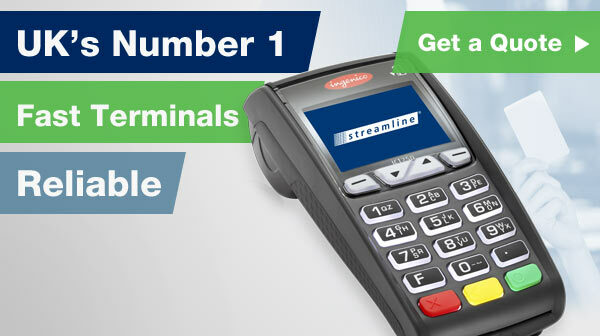 For occasional payments the free iZettle card reader lite would make more sense. If you are taking a small number of high value payments a month Worldpay Zinc offer a low rate monthly package. 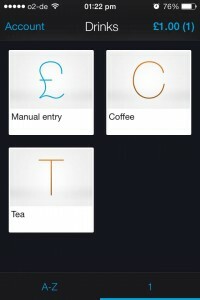 The Android app is similar to iZettle and Payleven’s in that you can pre save items. This saves time and allows you to track stock. Sales history is accessible through the app. You can’t issue refunds through the app as you can with most competitors. I don’t know if the app is ‘glitchy’ per se. However, I did leave the app open on the payment screen, minimised it then forgot about it for a couple of days. When I opened it up again the payment was still showing in the payments screen. I tried to cancel it but the app froze and I had to go into settings to stop it. 2 wireless printers are supported: the Star Micronics TSP-100LAN / TSP143LAN and the Bixolon SPP-R200II, both are mini printers costing around £200. The card reader is a good size, a compact 7cm x 7cm x 2.5cm. It connects to your mobile device via Bluetooth and if your phone doesn’t have Bluetooth you can plug-in. The buttons are touch sensors rather than physical buttons. I am not a great fan, it adds to the sense that this device is flimsy compared with its competitors. According to the website if you drop the device on the floor a security lock will be triggered which deems the device useless, so if you do decide to buy PIN+ please handle with care. I have dropped a phone on the floor before and was disappointed the glass cracked, if it no longer worked I would not have been happy. It’s battery operated. Suitable for occasional payments as opposed to being on all day. It seems like a big missed opportunity not to have a rechargeable battery. I connected my Android phone to the PIN+ reader using Bluetooth. The setup instructions sent with the device and those available online are different which is slightly confusing. According to the in box instructions you download the app, switch on the device, put in £1 to the app, press charge and setup will start automatically. I didn’t find this to be the case. The online instructions were more accurate. You need to get the PIN + in Bluetooth mode then connect through the app. Connecting the devices was made a little more difficult as for some reason the AAA batteries provided stopped working after connection and when I replaced them I had to connect the devices again. There were spare batteries in the box so I used them. Taking a payment is very quick and straightforward. All you need to do is put the charges and a description in the app, click charge, select card reader and get the customer to put their card and details into the card reader. 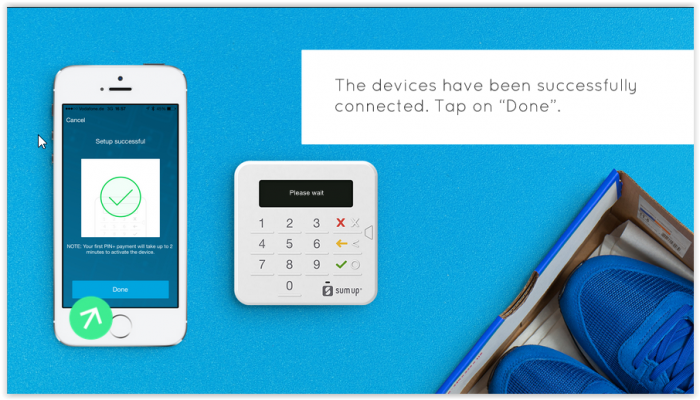 Reading this review you may have just crossed PIN+ off your list of possible mobile card readers. In reality there is not a great deal of difference between PIN+ and the various competitors. I managed to get the card reader set up relatively quickly, the app is comparable to its competitors and payments came through to my bank account within a few days. The main upside is SumUp offer the cheapest transaction charges and have done since the release of their initial device. PIN+ is also currently the cheapest mobile card reader available (£39 using code CPM20). The main downside is the lack of rechargeable battery and there is also no indicator to show battery life. What if you are all set to take a payment and the battery dies? It’s unlikely you’re going to have spares. I am sure if you got this machine to take occasional payments it would serve you well, and it is the cheapest. However for me the lack of rechargeable battery is a deal breaker.